The supermassive black hole at the center of our galaxy is a bit like the hearth at the center of a cozy pub. It's a bright, warm gathering place around which all the quotidian life of the Milky Way swirls - and, according to a new study published today (Mar. 20) in the journal Nature, it might even have a chimney or two. 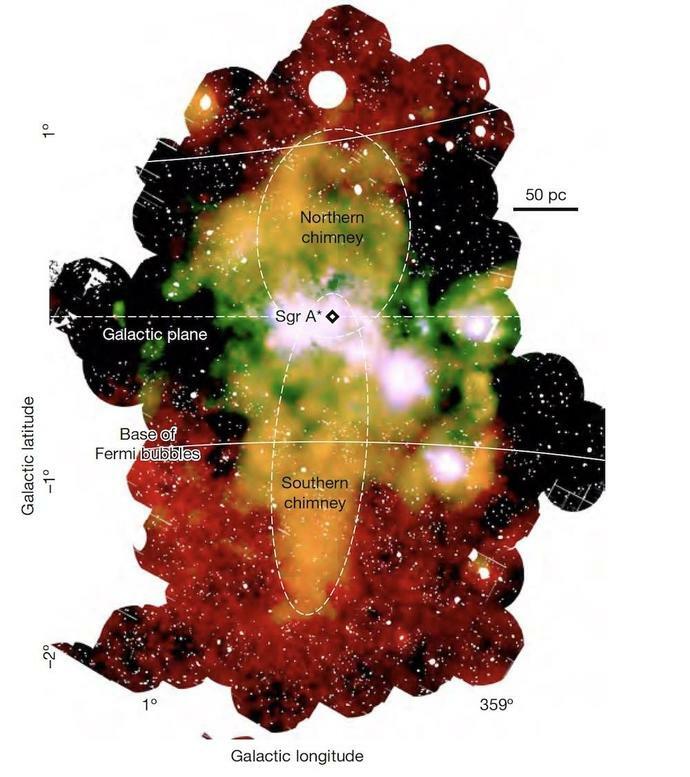 In their X-ray map, the researchers saw that both the northern and southern chimneys extend into the bases of two gargantuan structures known as the Fermi bubbles - essentially, two giant cavities of gas and cosmic rays carved from the galactic center by millions of years of activity. Further study of the chimneys could reveal a more precise origin of the Fermi bubbles. The next step, Ponti said, is imaging an even wider section of the galactic center - to see, for example, if the chimney flow seems localized over the galaxy's supermassive black hole, or if it is spread out over a wider cluster of stars. Either way, the hearth at the center of the galaxy will keep a fire burning for us - perhaps a larger one than anyone imagined.